Our community of Lake Jackson apartments is plenty hot, but we’ve got some tips that should help you cool down. Welcome to another month of blog posts from Plantation Park! For the first post of the month, we’ll be sharing some of our favorite summer salad recipes. 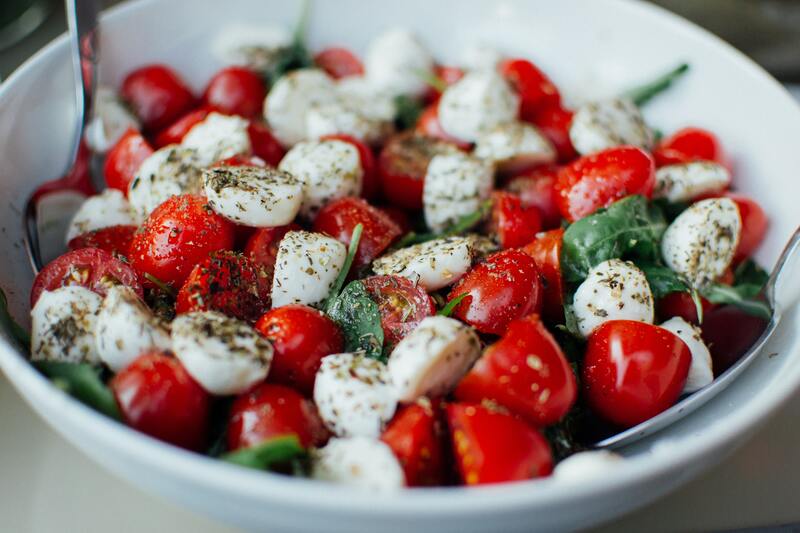 Whether you love salads already or you’re making a concerted effort to eat healthier this summer, we think the recipes on the list below i'll help you make fresh, tasty salads all summer long. In the post below, we’ll be sharing some simple recipes that you can make in 15 minutes or less. You can use these salads as a side dish for your next cookout, or as an easy lunch that you can bring with you to work. If you do feel like grilling out, be sure to bring your ingredients down to the outdoor grills at Plantation Park! That’s what they’re there for. Now that we’ve gotten the intro out of the way, let’s dive right into the list of recipes. When you’re done reading through the blog below, please be sure to share the link to this page with your friends and neighbors at Plantation Park — the luxury apartments Lake Jackson residents choose for upscale living. This next salad requires more ingredients than any other salad, but we think it’s worth it. The unique ingredients like marjoram leaves and fleur de sel, this salad is bound to impress anyone you make it for. The last salad on our list is pure summer, through and through. With mangoes, lime juice and jalapenos, this salad packs more flavor than most salads could ever hope to achieve. It pairs perfectly with tacos or a simple chips and queso set up. Give it a shot next time you’re pairing your Mexican food with margaritas! With that, we’ve hit the end of our list of our favorite summer salad recipes! We’d like to use this space to thank you for taking some time out of your busy schedule to hang out with us here on the Plantation Park blogs page. We hope that you learned a little something from this week’s post, and that you feel inspired to make some healthy meals before the summer is over! If you enjoyed this week’s post and want to read more like it in the near future, please be sure to bookmark our blogs page so you can easily check back when our next post goes up on the site. While you wait for that, go ahead and follow us on social media! After all, there’s no better way to stay up to date with all the events, promotions and giveaways going on at Plantation Park — the new apartments Lake Jackson residents choose for contemporary comfort and style.